Through our lifestyle (sitting behind the computer, in the car, watching tv and stress) we spend many hours in a bad posture. This bad posture causes a corrective muscle tension in the area of the neck and lower back. The muscles in our neck and lower back constantly have to compensate for our wrong posture resulting in pain in the back, shoulders or neck, including RSI or the ‘mouse arm’. A balanced combination of massage, stretching and exercise is the solution to theses problems. The Back- or Rolastretcher, Giant Rolastretcher or the combination of Rola- and Neckstretcher can solve your problem. The stretchers massages, stretches and mobilizes your back every day and your complaints will quickly disappear. The Back- of Rolastretcher can solve your problem. The Backstretcher massages, stretches and mobilizes your back every day and your complaints will quickly disappear. In order to move the right way your thoracic spine must be able to stretch about 5 degrees. Too much sitting and too little exercise decrease the mobility of the upper back of many people. 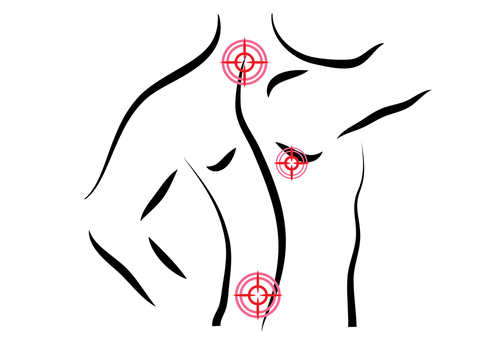 This leads to a wrong body posture resulting in pain in the lower back and neck. The rounded shape of the stretcher restores the mobility of the upper back. The nodules massage the long muscles along the spine and the spine will become more flexible. After a while your posture will improve. When you combine the use of the Back- or Rolastretcher with abdominal exercises, you are assured of long-lasting results. The Back- and Rolastretcher are an alternative method of treatment that has proven very successful. It offers great potential to recover from the following complaints: repetitive stress injury, pain in your low back, stiff neck, tension headaches, radiation to the shoulders, stiff thoracic (chest) spine and excessive lordosis. A better posture is the beginning of rehabilitation. The Backstretcher offers you the chance to correct the alignment of your back. The principle is based on Shiatsu massage. Shiatsu Netherlands supports the use of the BackStretcher and Rolastretchers. 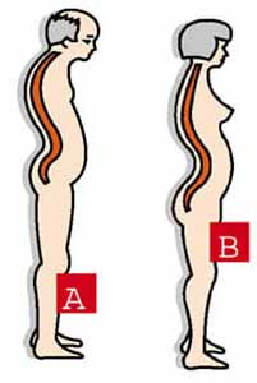 Effect of the backstretcher is significant! For most of the people with chronic back pain without any evident physical cause, the stretchers are very effective. Experience shows that this works for approximately 4 out of 5 people with back pain. Tendency to overstretch the knees. Some results of a recent inquiry among 400 people. On average the stretchers have been used for half a year. Do you still use the stretcher frequently?